Moth was a beautiful planet, the only one with wings - two great golden clouds suspended in space around it. Here was a wide-open world for any venture a man might scheme. The planet attracted unwary travelers, hardened space-sailors, and merchant buccaneers - a teeming, constantly shifting horde that provided a comfortable income for certain quick-witted fellows like Flinx and his pet flying snake Pip. With his odd talents, the pickings were easy enough so that Flinx did not have to be dishonest ... most of the time. 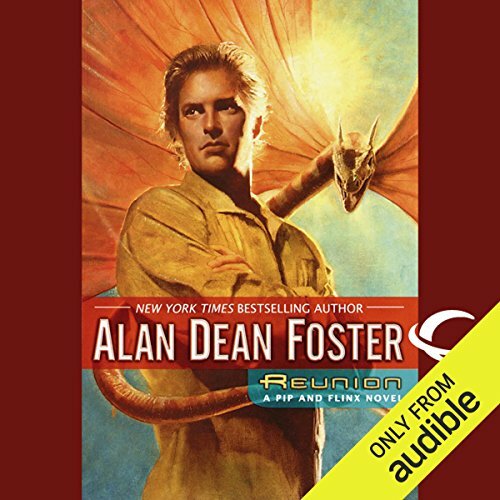 BONUS AUDIO: Includes an exclusive introduction written and read by author Alan Dean Foster. 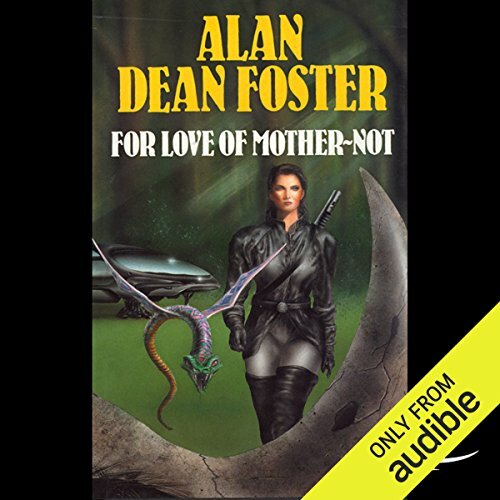 ©1972 Alan Dean Foster (P)2009 Audible, Inc.
Moth was a beautiful planet, the only one with wings - two great golden clouds suspended in space around it. Here was a wide-open world for any venture a man might scheme. The planet attracted unwary travelers, hardened space-sailors, and merchant buccaneers - a teeming, constantly shifting horde that provided a comfortable income for certain quick-witted fellows like Flinx and his pet flying snake Pip. The First of the Flinx and Pip Novels AT LAST! It caused instant addiction, followed by an excruciating slow death, and there was no known antidote. It was a killer. Supposedly the drug had been totally eradicated from the humanx galaxy years before. At least that's what everyone thought. But somehow, mysteriously, that dreadful substance was back in circulation on Repler and threatening to wreak havoc throughout the known galaxy.Someone somewhere was secretly manufacturing Bloodhype, but nobody seemed to know where or who! One man in the Universe holds the key to the mystery of Flinx's past - and that man is trying to kill him! It is a strange childhood for a kid, to be adopted by the restless Mother Mastiff and raised in the bustling marketplace of Drallar. Flinx never knew the mom and dad who abandoned him years ago. In fact, his birth has always been shrouded in mystery. 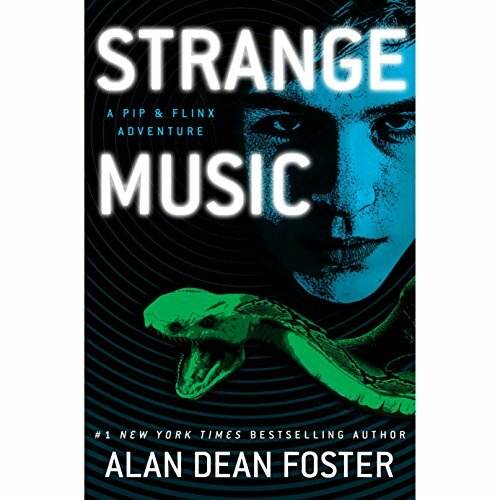 But Flinx eventually discovers that his unknown parents have left him a curious legacy - extraordinary mental powers that are both a marvelous gift and a dreaded curse. Accompanied by his faithful minidrag Pip and a most troublesome alien called Abalamahalamatandra - Ab for short - Flinx set out for Alaspin, the ruggedly primitive homeworld of his flying snake.There he hoped to find the giant man with the gold earring who somehow held the key to Flinx's mysterious past and to the strange powers he possessed. Chasing down his heritage was trouble enough, but Flinx didn't know what real trouble was until he realized that a deadly assassin squad was three steps behind him. 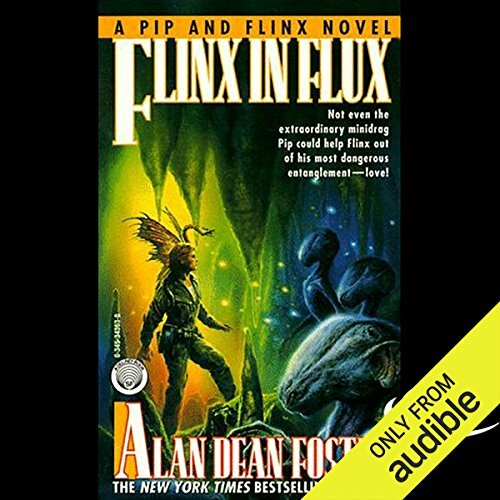 When Flinx, no stranger to galactic intrigue, found an unconscious woman on a riverbank deep in the jungles of Alaspin, he took it in stride. When he learned that the woman, Clarity Held, was a brilliant scientist abducted from a remote outpost on inhospitable Longtunnel by a group of fanatic assassins, he tried to help the beautiful Clarity back to her project. Unfortunately, the assassins were still at work. Where Flinx and his flying minidrag Pip went, trouble always followed - that law had governed their lives through years of unsought danger and galactic intrigue. 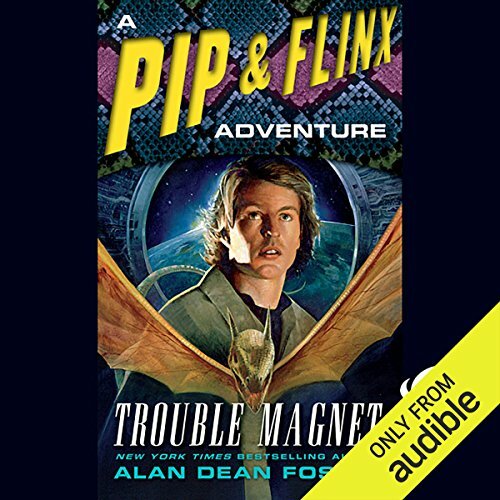 Now, an evil rich man was out to kidnap the minidrag for his personal zoo, and Flinx and Pip were on the run again - this time into uncharted space, on a random course they hoped would foil their pursuers. 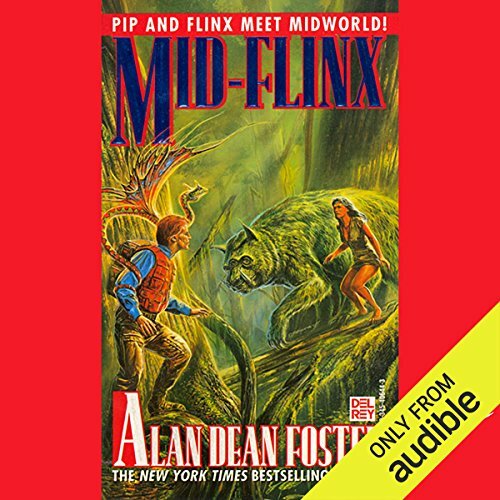 At last, New York Times best-selling author Alan Dean Foster returns to his acclaimed Humanx universe, where a young human orphan called Flinx seeks to unlock the dangerous secrets of his past - and the uncertain prospects of his future with the aid of the formidable minidrag known as Pip. 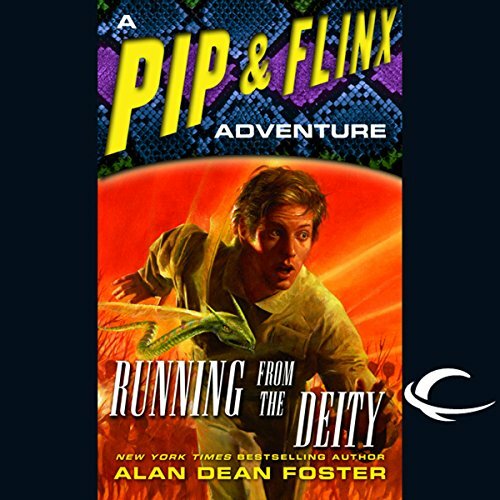 This is the most mind-bending Pip and Flinx adventure yet - a roller-coaster ride into the unknown, filled with wonder and humor, and a host of deadly adversaries. 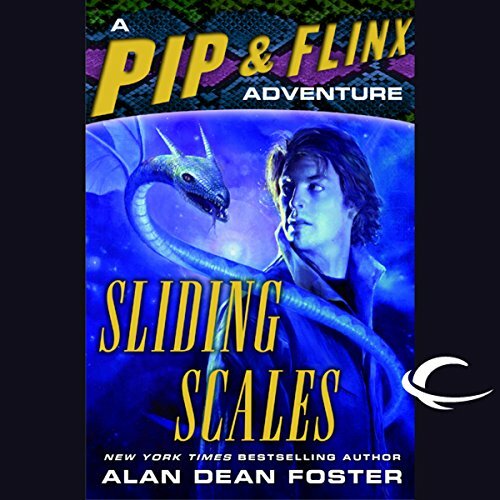 New York Times best-selling author Alan Dean Foster delivers the eagerly awaited new Pip and Flinx novel featuring a certain twenty-four-year-old with red hair, growing powers, and a loyal sidekick who just happens to be a flying mini-dragon. 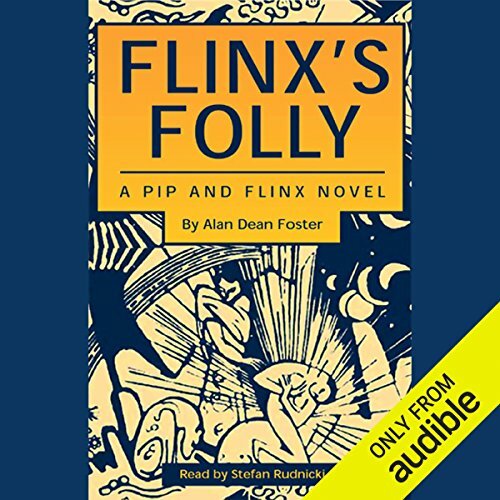 Sure to delight longtime fans and win new ones, Flinx's Folly follows Flinx on a thrilling quest to unravel the mysteries of his mind and body. It is a quest that forces him to confront a horror almost beyond human comprehension. 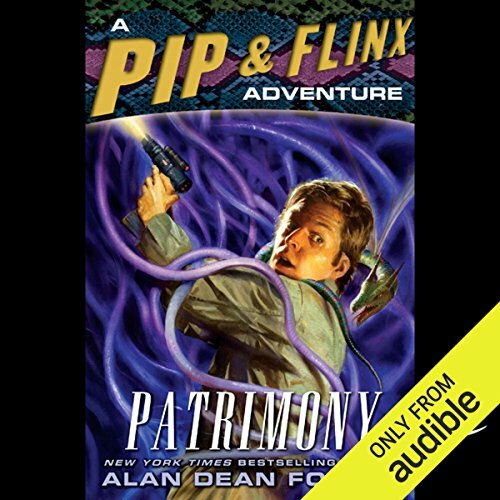 More Pip & Flinx please!!! Time and again, the daring pair have braved countless dangers to emerge victorious. But now Flinx attempts something that may be impossible for the heretofore undefeated hero. His mission: to take a vacation. Never have the cares of the universe lain so heavily on Flinx's shoulders, nor the forces arrayed against him seemed so invincible. 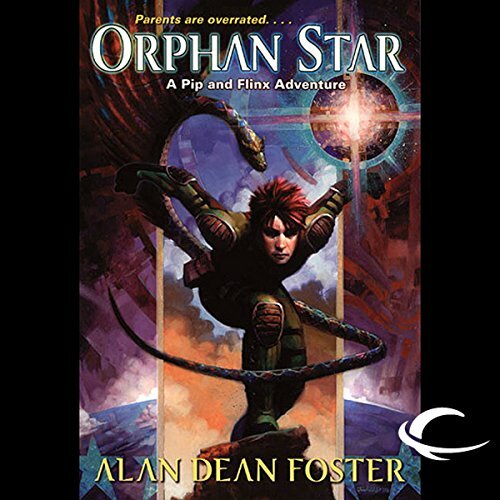 From science-fiction legend Alan Dean Foster comes a thrilling new Pip and Flinx adventure, wherein a certain red-haired, green-eyed young man blessed (or cursed) with strange powers finds himself and his mini-dragon sidekick on a top-secret mission concerning deep space, alien worlds...and a primordial horror intent on devouring all of it. 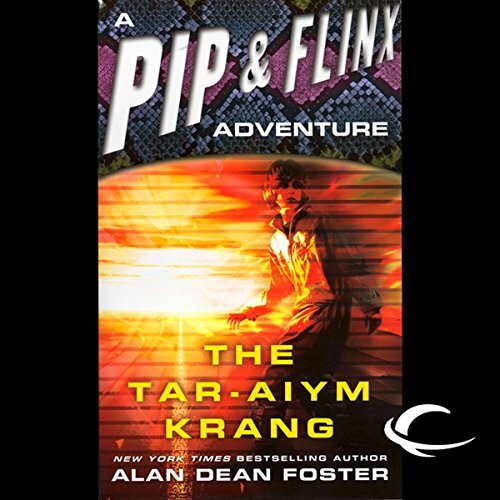 In this dazzling new novel, Flinx confirms his status as the galaxy's greatest magnet for big trouble. Wandering out there in some remote region of the galaxy is a gargantuan sentient Tar-Aiym weapons' system. 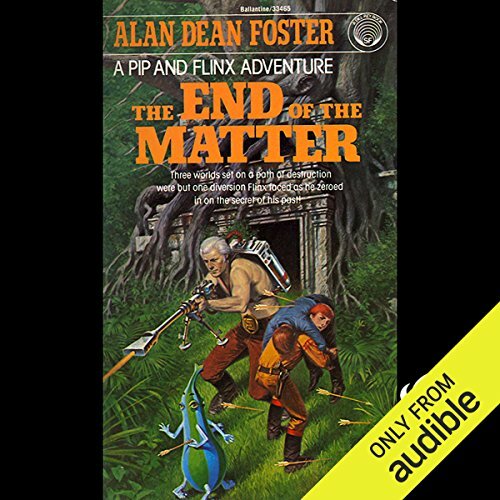 All Flinx has to do - while his pals look after his injured love Clarity Held - is find the hefty object and persuade it to knock out the monstrous evil that is hurtling through space to waste the entire Commonwealth. In Patrimony, fans will learn more about their favorite redhead - with emerald eyes, uncanny powers, and a poisonous minidrag - than they ever dreamed possible. "I know who your father is . . . Gestalt." A shocked Flinx hears these dying words from one of the renegade eugenicists whose experiments with humans 20-odd years ago shocked the galaxy . . . and spawned Flinx. Flinx is the only one with even the tiniest chance of stopping the evil colossus barreling in to destroy the Humanx Commonwealth (and everything else in the Milky Way). 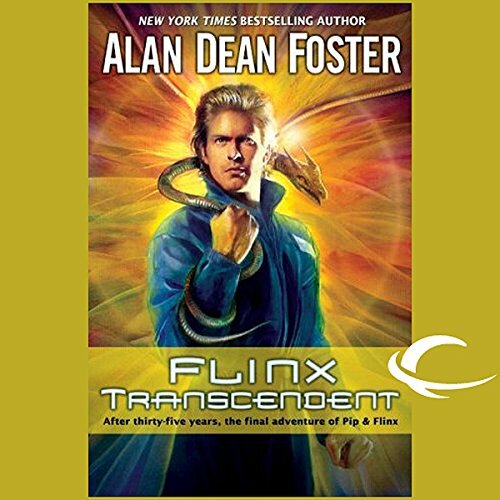 With time running out, Flinx is a man in search of a solution and in search of himself. 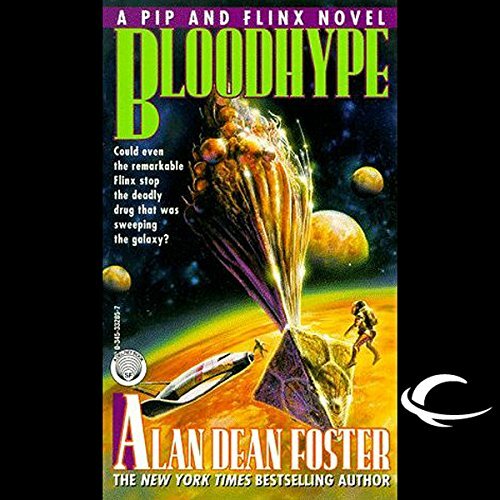 His efforts take him to the land of his mortal enemies, the bloodthirsty AAnn, where chances are excellent that Flinx's discovery - and summary execution - will eliminate all his demons and doubts in one masterstroke. Empathic Flinx and his minidrag, Pip, have saved the universe more times than they can count, but the return of an old friend pulls the duo from their retirement and plunges them into a story of intrigue and imagination. The planet of Largess has recently opened itself to trade with the human-dominated Commonwealth. But when the daughter of a powerful chieftain goes missing, authorities believe a covert agent to be the cause. They need someone to track down the princess and roust the troublemaker and to do so without alerting the whole planet.